Updated Friday January 18, 2019 by Tracy Riepl. UPDATED 1/17/19 - TRYOUTS WILL RUN AS SCHEDULED THIS WEEKEND. THERE ARE NO DELAYS OR CANCELLATIONS DUE TO WEATHER. Tryouts are for TBall and Baseball Registration ONLY. Wee Ball and Challenger DO NOT tryout. IN ORDER TO BE ELIGIBLE FOR THE MAJORS DIVISION DRAFT PLAYERS MUST TRYOUT. At SLL we want to preserve the enjoyment and love that our kids have for baseball. We do not want to place kids in situations where there is little chance of success. Because of this it is essential that all players tryout. Each child is evaluated during try-outs to keep the teams balanced during the draft. Know there NO cuts at Sunrise Little League. Tryouts are simply an evaluation. Every child with completed register (fee's are paid and snack shack deposit has been received) will be placed on a team. Please bring your child to the field 15 minutes prior to his/her scheduled try-out to allow time to sign in and warm up. Please have your child dressed in baseball attire or comfortable clothing (i.e. sweats) and bring his/her baseball equipment (glove, bat, cleats, and hat). What if my child can’t attend try-outs (due to vacation, illness)? While we highly encourage all players to try-out, we understand that things come up that make it difficult for a player to attend try-outs. If your child is unable to make it to tryouts he/she will be drafted based on past experience at SLL or based on the experience you provide to us during the registration process. If your child does not tryout he/she may be placed in a lower division than you find satisfactory so it is imperative that you make all attempts necessary to make tryouts. Are make-up tryouts scheduled? We do not schedule make-up tryouts unless tryouts are postponed due to weather conditions. In special circumstances you may be notified for a private tryout if you miss the scheduled time. But that is only if the player agents feels it is necessary. Please do not contact us to schedule a private tryout. Please register for your tryout time. It is the same process as it is to register for baseball. From our home page click on the big button that says "registration now open". Then use your email and password to log into your account. Once you are in your account click the big blue button that says "Register a Player/Participate". Then choose your child as the player and click "Register Now". 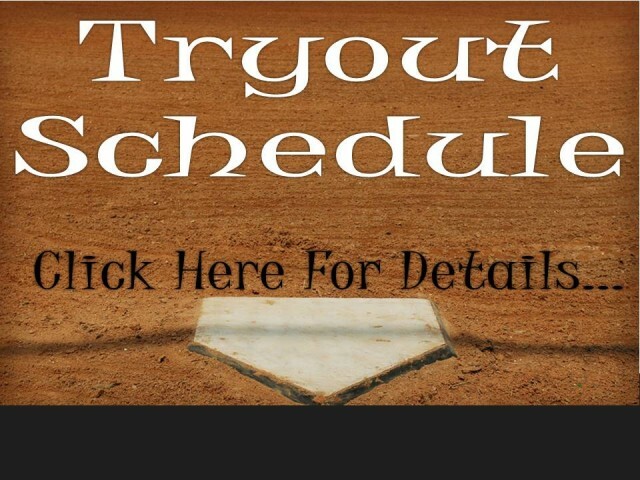 Under “TRYOUT SIGN UPS - Spring 2019 Baseball/Tee Ball" select the time you want and click the button that says "Register as a Player". Follow the rest of the prompts to your shopping cart and then check out. The cost will be $0.00. Once you check out of your shopping cart you will receive an email confirmation and your child will be registered for tryouts.